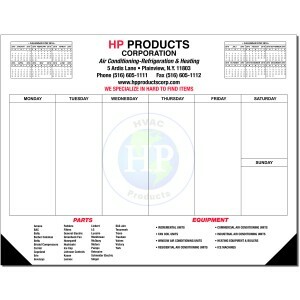 Custom 22 x 17 12 Desk Planners with Two Corners. Available in a variety of styles, layouts and colors. They come in 25, 40 or 50 sheets per pad. Price includes one color imprint.